Injectables are one of the most misunderstood products in modern cosmetic enhancements for the face. Because we field so many questions and dispel so many myths about injectables during consultations at Smith Cosmetic Surgery, we think it’s essential that anyone considering either a mini facelift or routine injectables in the near future should know the facts. 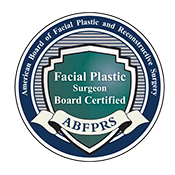 One of the most helpful things Dr. Brent J. Smith can do as a respected veteran in the facial plastic surgery industry is to set the record straight. The more informed our prospective patients are about the differences in the results related to injectables versus surgery, as well as how these procedures can complement one another, the more positive and realistic the outcome will be for all. So let’s address a few of the most common misconceptions out there about the use and effectiveness of facial cosmetic injectables. I can use a dermal filler to permanently change the look of my cheeks. One of the biggest misconceptions is that a dermal filler or volumizing injectable such as Juvederm can take the place of cosmetic surgery on the delicate cheek area. While these types of plumping products can work wonderfully to maintain a recent facelift, the fact is that fillers cannot actually reverse the biological process of losing collagen over a lifetime. Around age 45 to 50, many people start to notice more significant “deflation” in their facial features, specifically in the cheek area. This is a perfectly natural sign of aging skin. As collagen inherently breaks down, the support system holding up the cheeks is weakened and can no longer maintain the taught apple-cheek look of youth. Because this is a structural effect linked directly to muscle and fibers in the face, injectables cannot penetrate deep enough to halt this biological breakdown. A facelift, however, can address this issue more specifically, and injectables are an excellent choice to maintain the more youthful look you’ve achieved following a mini facelift. I can use Botox to treat any area I want. While Botox is a prevalent and proven treatment, it’s important not to confuse this injectable with other volumizing products such as Juvederm. Botox is short for botulinum toxin, which sounds scary, but really isn’t. The FDA approves of it and so do we. When injected at a facial site where muscle contractions commonly cause wrinkles, this highly effective solution temporarily “paralyzes” the muscle tissue so the body’s naturally occurring expressions don’t continue to create deeper lines. Now try to imagine using Botox to limit the movement of your lips, for example. Not so pretty. Botox is exclusively used for the upper third of the face to treat forehead wrinkles and crow’s feet around the eyes. A filler like Juvederm, on the other hand, is used to treat loss and lines on the bottom two-thirds of the face. This volumizer works differently than Botox to temporarily “plump” cheeks, smooth lines and folds around the mouth, and even add a natural fullness to thinning lips. In fact, at Smith Cosmetic Surgery, we often recommend using both types of injectables as a dynamic duo for masking the signs of aging in both the upper and lower portions of the face. When it comes to lips, the more I inject the better. Limp, diminishing lips are one of the first things that patients request Dr. Smith’s Nurse Injector, Glenda Rainold, RN MSN to address with injectables. This isn’t a bad idea; in fact, injectable products have proven to work very well to create a more youthful pout—but only when undertaken conservatively. Too much filler not injected carefully at the right sites can quickly lead to, well, the stuff we see regularly on reality TV. Dr. Smith won’t use injectables in this manner; his goal (and it must be the patient’s shared objective as well) is to use the wonders of injectable technology to create the most natural and youthful-looking mouth for each individual patient. It’s all in the technique, and when delivered well, injecting fillers properly for the lips is really an art form. The ultimate test for Glenda, as an expert Nurse Injector at Smith Cosmetic Surgery, is to make the injectable nearly unnoticeable. It should blend with and subtly enhance the face you were given. Imagine if you were really worried about thinning lips and you chose only to have your lip line enhanced, without touching the rest of your aging face. Sadly we see these consequences all the time: oversized, unnatural-looking lips sitting right in the middle of an aging face. Instead of the lips complementing a facelift, for example, they now stand out prominently against a backdrop of wrinkles and drooping skin. Injectables are for old people. While Smith Cosmetic Surgery doesn’t advocate starting any injectable or facial cosmetic procedure until a patient is mature and responsible enough to understand the risks and benefits of such undertakings, injectables are becoming more common for younger men and women, typically in their 20s and up. Why? Well, because a temporary but effective non-invasive infusion like Botox can act as a wrinkle preventer. If the brow cannot contract as freely in a repetitive, creasing motion, it’s harder to develop expression-related wrinkles in the first place. That’s not to say a Botox injection will “freeze” a youthful brow or eye area in an unnatural way. The outcome depends on how much injectable is applied—and where. Again, when added to the muscle with finesse and constraint, an injectable can be a valuable preventative cosmetic routine—before those age-related wrinkles start to appear. Young (and older) bodies also do amazing things following routine injectables: They start to create their own restoration process. Having a regular filler around the lip area, for example, actually stimulates natural cell regeneration at the site, which means the more you get it the better job your body does to preserve your lips on its own. Injectables are going to make me look fake. Again, there’s a right way to inject fillers and volumizers, and a wrong way. As an industry, facial cosmetic surgery has come a long way. Plastic surgery offices dedicated to the practice of injectables, either as a preventative measure or as a complement to facial surgery, are more astute in their understanding of how—and how much—injectable solutions should be applied for different faces and structural makeups. That’s why Smith Cosmetic Surgery requires a complimentary upfront consultation. Everyone’s genetic makeup is different, and that’s what makes our faces beautifully unique. 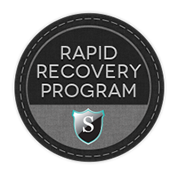 Before ever injecting an industry-standard dose of Juvederm, Smith Cosmetic Surgery first measures how much is truly appropriate for each patient, depending on age, skin condition, structural integrity, and lifestyle expectations. If we were treating the lip area, we would need to look at what kind of outline your natural lips have in order to preserve the curvature. Have you always had straight lips and now want them plump and curvy? That’s probably not a realistic expectation with an injectable, and this would be discussed with you. 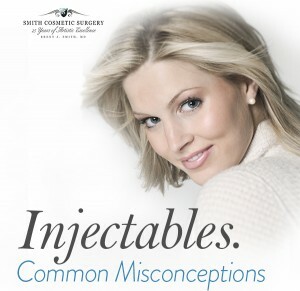 We’ve examined some of the most common misconceptions around popular injectables such as Botox and Juvederm, but Smith Cosmetic Surgery uses several other exceptionally effective FDA-approved products to create the realistic results our patients desire. Give us a call to discuss which product lines or procedures might be the smartest choice for your face—and your future.